Members earn 500 Points on this purchase! 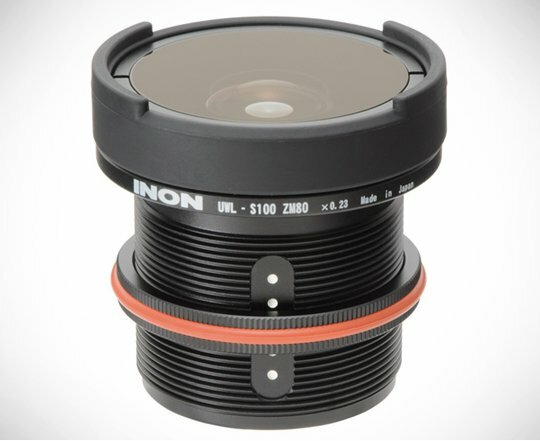 Dual use (land / underwater) wide conversion lens specially designed for particular wide cameras having master lens wider than 28mm (35mm film equivalent) or having super zoom with longer extension. You can get ultra wide underwater imaging with approx. 80mm focal length (35mm film equivalent) setting on the camera not as like standard wide conversion lens. The maximum view angle is 100°underwater for wide imaging and 179.8°on land for fish-eye imaging.